New year is a time when you welcome lot of guest and loved ones into your house. That means you wish to have a clean house during this time of the year and spring cleaning can certainly help you do that. With proper spring cleaning you will be able to have a fresh and healthy house in easy manner and you can welcome your guests on the New Year. However, many people never get the optimum result with their spring cleaning efforts because they make various mistakes in it and it leads them to so many complications as well. Well if you are in the same kind of dilemma then here are 8 mistakes to avoid on spring cleaning during the New Year. Doing very late start: Doing very late start for spring cleaning is really a big mistake that can actually ruin your New Year. With this late start, you will never have an assurance about the completion of spring cleaning work before New Year. And if you want to complete the cleaning work on time, then you will have to invest a lot of efforts in it. As a result of that you may get exhausted and you may not be able to enjoy the New Year with fullest. So, it is wise idea that you do not make this mistake and you start the spring cleaning work as soon as possible. When you’d do this, then you will be able to finish it on time and you will not get exhausted as well. Keeping old unused stuff: Some people have a hoarder tendency and they do not like to throw away anything. You may not have this tendency with consciousness, but if you will look at the unused items in your house, then you will realize it is true. You need to understand that if you will keep all the unused stuff in your home, then you will not have space for spring cleaning. Also, it will increase the work load for you as you will have to cleaning those materials as well. If you will get rid of unused items, then you will be able to have better outcome in your spring cleaning work and you could welcome new year in a more spacious place. Not having a proper plan: If you will not have proper plan for spring cleaning, then you may actually do more damage than any good. For example, if you clean the floor first and after that you do dust cleaning of your ceiling fan, then you can again have dirty floor. We can say the same thing for rooms as well. That means if you clean living area before cleaning the room, then you will actually increase your work load. To have better result for your new year cleaning it is strongly recommended that you make a proper plan and you follow that to get optimum result with it. Using wrong tools and solutions: Use of wrong tools and solution is another big mistake that people make in their spring cleaning work. In market, so may tools and cleaning agents are there that you can try, but those solutions may or may not offer the best result to you. To have the optimum result with spring cleaning work, you should simply get right kind of tool and cleaning solutions. If you are not sure about these tools or cleaning solutions, then you can take the help of experts or online resources and you can get these details in easy ways. 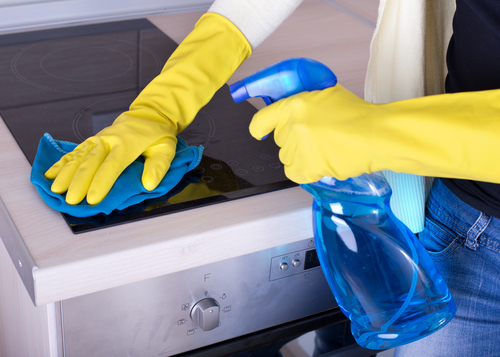 Ignoring safety issues: Spring cleaning can make you vulnerable to so many health hazards as well. Many people simply ignore such health hazards and they do not use proper dress while cleaning their home for New Year. You need to understand that this is a big mistake and you shall always avoid it. To avoid this mistake, you should always use proper safety clothes that can keep you away from such troubles. If you will do it, then you will be able to have really good result as well having no troubles at all. So, follow this rule and you will stay safe while doing the spring cleaning work for New Year. Not cleaning upholstery: Not cleaning your upholstery can be a really big mistake that you may do while spring cleaning your home for New Year. Your upholstery, curtain and tapestry can be the nesting ground for so many germs and microbes. If you do not clean it then these microbes will have a decaying smell in your house and your entire spring cleaning efforts will go into the vein. To avoid this mistake you should either clean your upholstery or you should change it with a new one. Using same cloth for every room: If you are cleaning your house then use of same cloth can be another big mistake by you. If you will use the same cloth again and again for every room, then you might not get the desired outcome and you can have even a dirtier place instead of cleaned one. So, if you are planning to do this, then it is wise idea that you do not do the spring cleaning for New Year using same cloth again and again. When you would avoid this mistake then you would be able to have really good result in least possible problems. 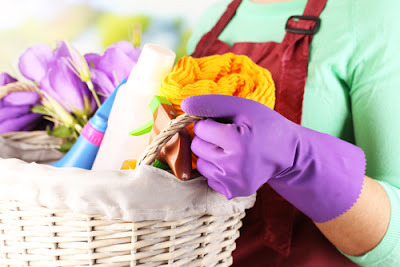 Not taking professional help: Not taking the professional help is one more big mistake that most of the people make in their spring cleaning work. If you will hire some expert or professional for spring cleaning work then they will be able to finish the work for you in smart way and you will be able to have really fantastic outcome as well. Hence, along with other tips, it is also recommended that you follow this rule as well and you get some professional help for carpet cleaning. 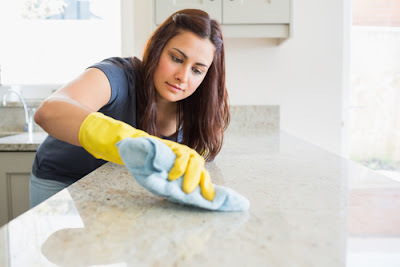 This tip or suggestion will surely help you get better result in many of the cleaning work and you will not face any kind of troubles or complication as well in any ways.